I'm not much of a bottled water drinker, but sometimes I am out and about and I've gotta have something to wet my whistle. Forget soda, juice, beer (hey, I'm driving!). I was at Wegman's in Auburn the other day and I noticed this new brand and it was the lavender mint that really caught my eye. Just as I went to reach for the bottle, a friend happened by and started testifying about how great this water is. 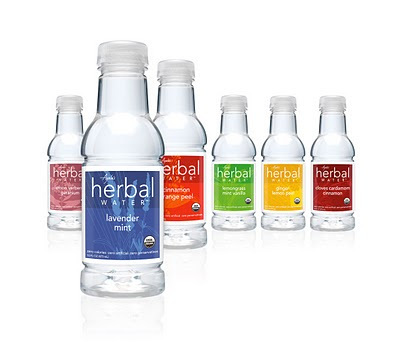 She was extremely pleased that it was now available locally as she had been ordering from the Herbal Water website. I ended up buying the ginger lemon peel and it was fab. Nothing fancy...just what I wanted...water with a bit of flavor...no sweetener. I just ordered a sampler case from their website and I'll put it in the car for emergencies.